Who doesn’t love a rooftop view? Especially at sunset overlooking the Waikiki coastline and iconic Diamond Head. Sky Waikiki is pau hana paradise. 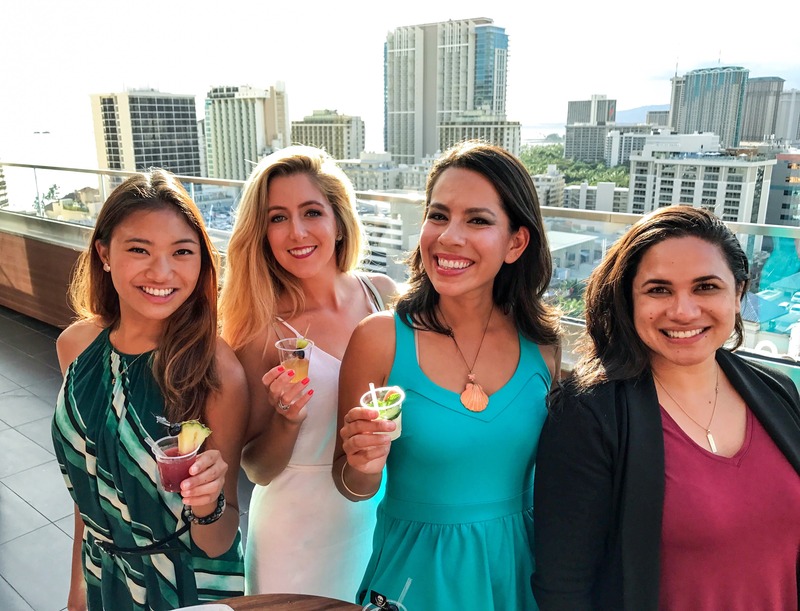 Located on the 19th floor in the Waikiki Business Plaza on Kalaukaua Avenue, come for sunset on the Sky Deck and stay for the nightlife experience. 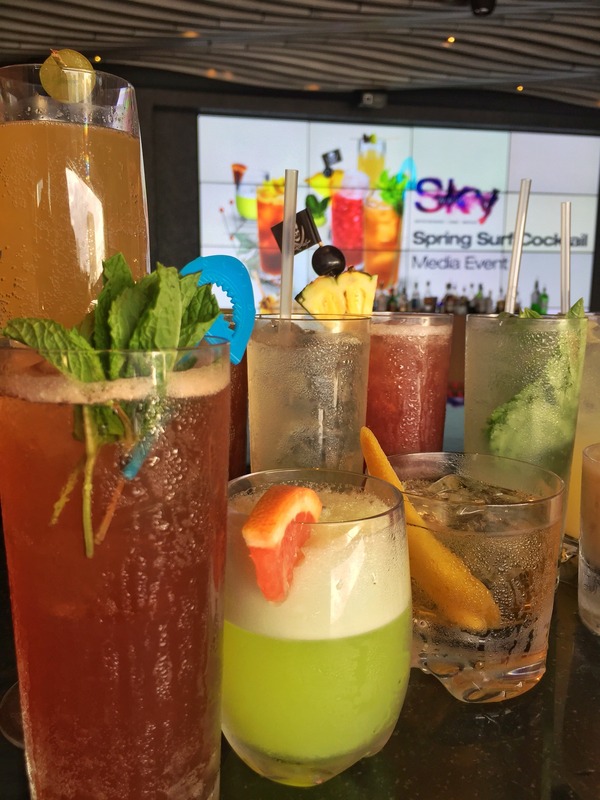 I recently tried the Spring surf inspired cocktails. Each drink has a story and was named after a famous surfing location on the island of Oahu, including Yokohama Old Fashioned, Kahala Back Girl and Malaekahana Mix. Treasure at Kaena Point- by far my favorite, both the drink and this part of the island on the North Shore. Crafted by Director of Mixology Jennifer Ackrill this drink is a combination of rum, merlot, grapefruit cinnamon, lemon, pineapple and bitters. Enjoy happy hour on the main lounge from 5pm – 7pm, and later dance the night away in the nightclub. Ladies, no slippahs (flip flops) for nightlife and gentleman, collared shirts and dress shoes are recommended. How are you celebrating this weekend? A good story never starts with someone eating a salad. Shout out to the Bartenders who made 400 mini cocktails. CheeHoo! After Green Lanterns- a twist on a classic. Gin, Midori, lemon, lime, egg white and Black Hawaiian Sea Salt. Categories:Eat and Drink Hawaii U.S.
Well now, aren’t U the Globetrotter? So R U at home in Hawaii? Wow… What a beautiful place the islands R… Thanks for the pics… Vicariously, through U, Im there. Have a nice day. It’s 2126hrs (9:26pm) here in San Diego. Thanks for reaching out and sharing the beauty U 👀 see. Aloha Chandler, enjoying the islands every day, but still do miss California especially San Diego! They don’t call it “America’s Finest City” for nothing!